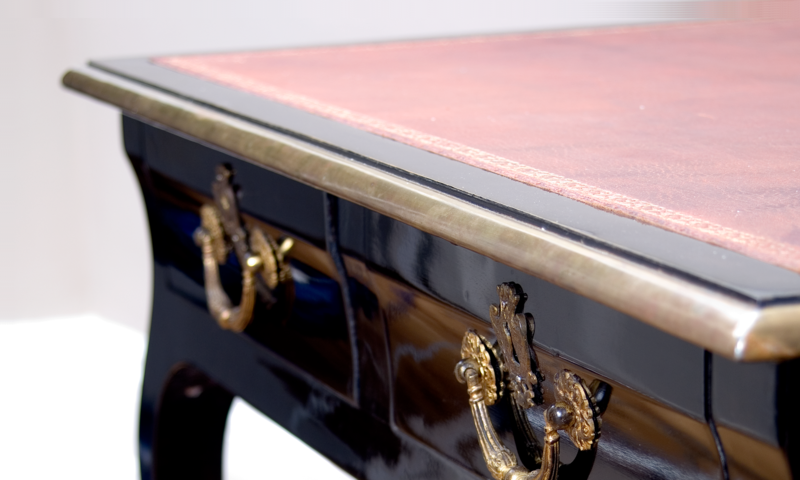 French polishing is a wood finishing technique that results in a gloss surface. It consists of applying many thin coats of shellac (made from beetle shell) dissolved in alcohol using a pad known as a rubber. The finish is considered to be one of the most beautiful ways to finish highly figured wood, but it is can be delicate as it is softer than modern varnishes and is particularly sensitive to spills of water or alcohol, which often produce white cloudy marks. However it is also much simpler to repair than a damaged varnish finish, as patch repairs can be blended in. 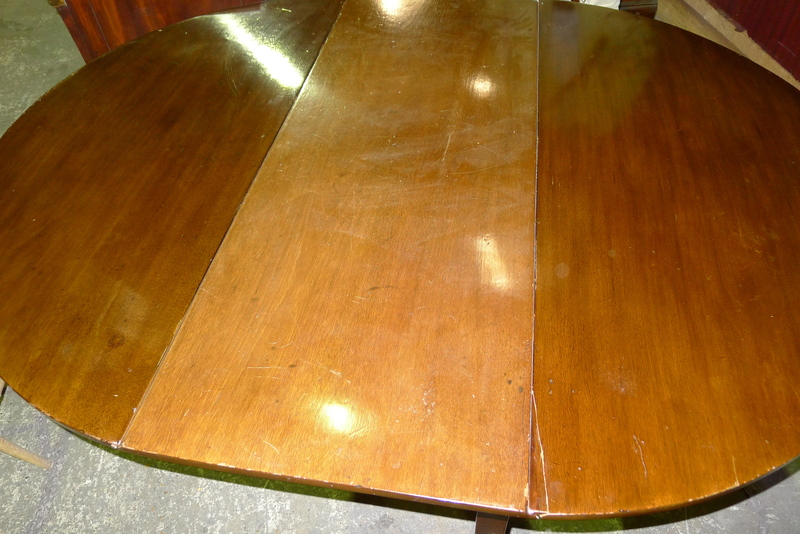 The table below was restored and french polished. The Lyre Clock was also finished with french polish.